Loosing a loved one is hard enough, don't throw away their favorite shirts! Send them to us and we will transform them into a timeless treasure you'll cherish for years to come! 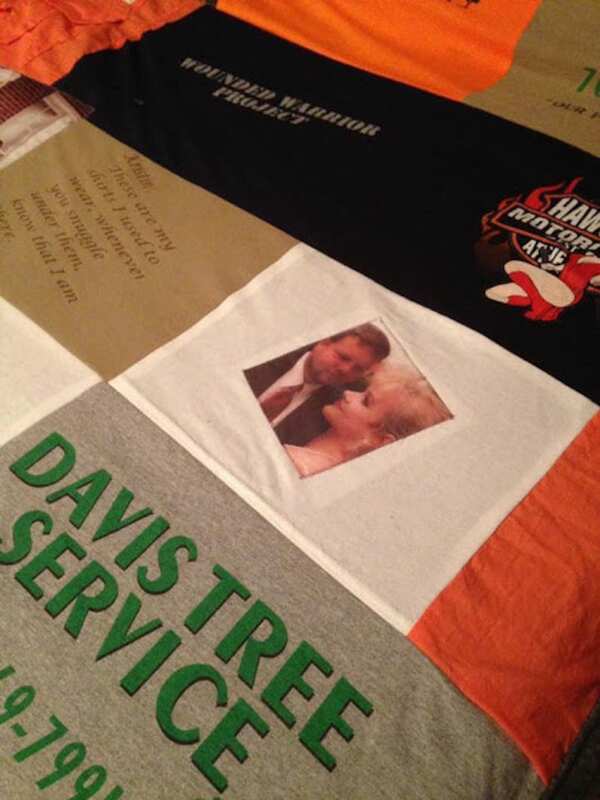 Our Memory quilts include a photo and/or phrase, name, or nickname added to the quilt. This listing is for a finished edge quilt with a standard fleece backing available in either tan or grey.